Competitive applications for SustainUS's youth delegation to the UNFCCC COP19 negotiations are now available. If you know US youth, or international youth studying or working in the USA, please pass this along and encourage them to apply. Join the SustainUS delegation to the UN Climate Change negotiations! The SustainUS Agents of Change (AoC) program is now accepting applications to join our youth delegation to the 19th Session of the Conference of Parties (COP 19) to the United Nations Framework Convention on Climate Change (UNFCCC). 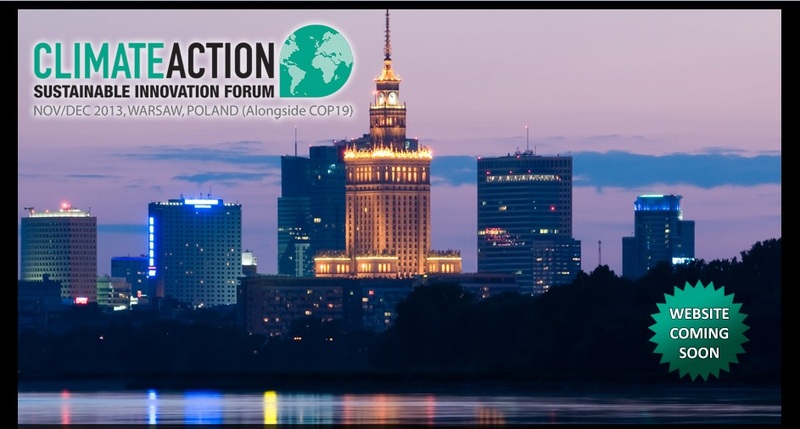 The conference will take place November 11-22, 2013 in Warsaw, Poland. Selected delegates will have the opportunity to work with government officials, scientists, civil society representatives, and youth from around the world. In the past, AoC climate delegates have presented case studies and policy statements on behalf of youth; participated in forums with fellow representatives of civil society; and met with government delegates, international organizations, and the US State Department. Delegates will work as a team in advance of the conference to influence key State Department officials and connect with the larger youth climate movement, both in the United State and around the world. The COP 19 delegation is especially important because of the UNFCCC’s goal of negotiating a new global climate deal by 2015. This leaves less than three years to find a pathway to accomplish an ambitious global agreement. While COP 19 delegates will not see the end results of a global agreement, they will be essential in shaping SustainUS’s longer term strategy for the next several years. Find out more and apply before May 12th at sustainus.org/apply-cop19. Please direct questions to AoC coordinators Alyssa Tsuchiya and Yi Wang at agents[at]sustainus.org. We look forward to receiving your application soon! SustainUS is a nonprofit, nonpartisan organization of young people ages 13-26 advancing sustainable development and youth empowerment in the United States. Through proactive education and advocacy at the policymaking and grassroots levels, SustainUS members are building a future in which all people recognize the inherent equality and interdependence of social, economic, and environmental sustainability. We strive to reflect our values through the diversity of members and projects, our ongoing commitment to educating ourselves and others, and the way we live our lives. Learn more at sustainus.org.